I’m wondering where you would start your research. My first thoughts are books showing original quilts from the era and hoping there is enough detail to show the quilting. I don’t live in an area where these quilts are shown, so don’t have access to actual quilts. I started writing a reply, but it soon turned into a post! Trying to do “quilt research” can be daunting at times. I do have a couple of quilt history books in my library and I started my search there. Then I went to the internet and did searches for: Civil War Quilts, Civil War Quilting, quilting in the 1860’s, etc. I also did searches for specific quilting techniques such as Baptist Fans and Cross Hatching. Not too far from where I live (in the greater Seattle area) there is the LaConner Quilt Museum in LaConner, WA. www.laconnerquilts.com (They have a great website, take some time to visit.) 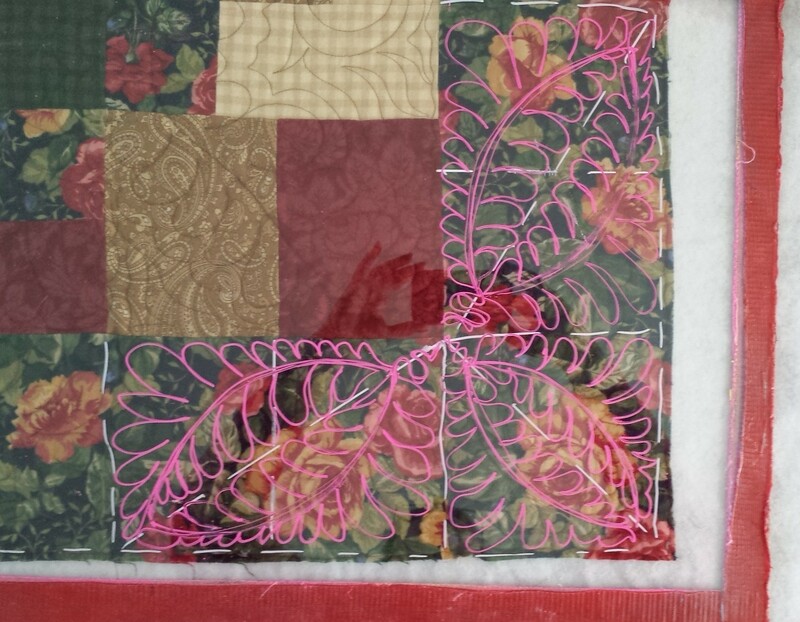 I have sent emails to them asking about quilting designs in Civil War quilts. I also know of some (somewhat) local quilt appraisers and have emailed them for information. Note: as of this time I have not heard back from them. If you belong to a quilt guild you could also talk to the members. There may be someone who is interested in quilt history and could help in your search. Sometimes, when doing research, you have to get creative and look at other ways to find the information you are looking for. I know that there are many Civil War re-enactment groups. I haven’t contacted any of them at this time, but, I may. As living historians of that period of time, there may be someone who could help. If there is anyone who has other ideas on how to do quilt research or quilt research sources please feel free to add them to this blog.